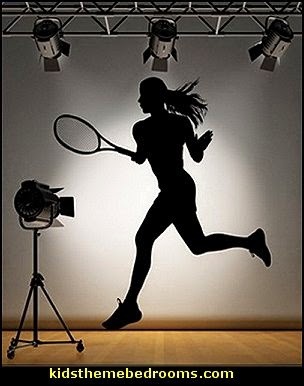 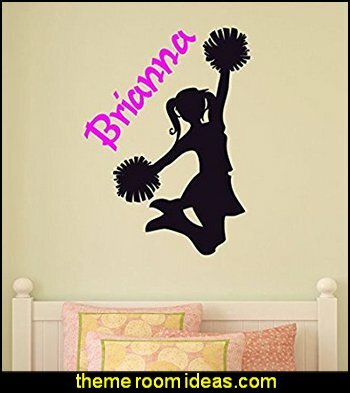 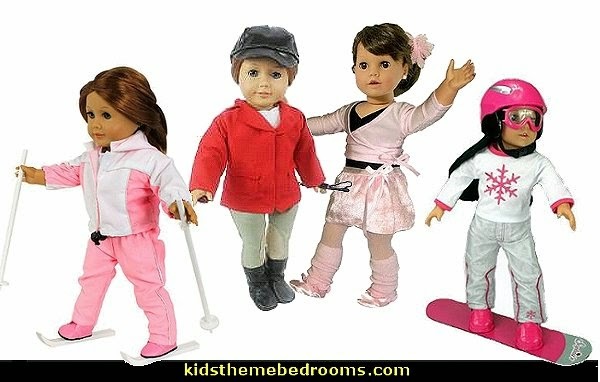 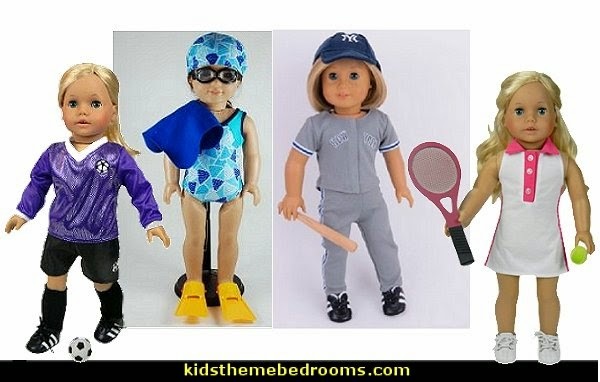 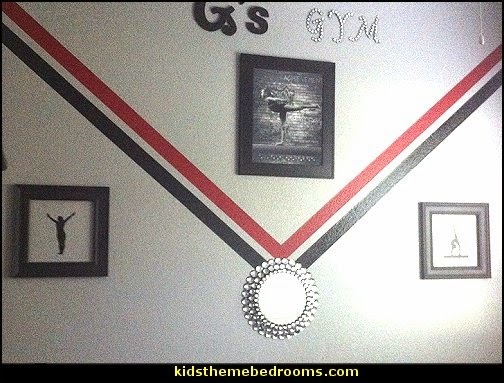 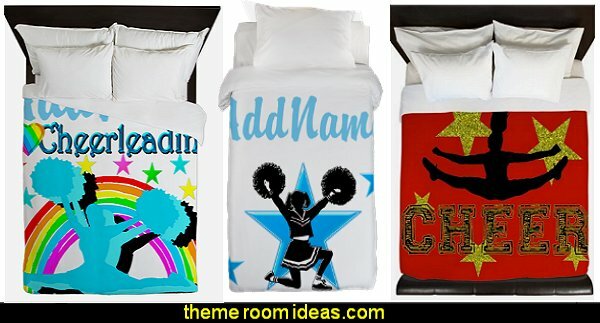 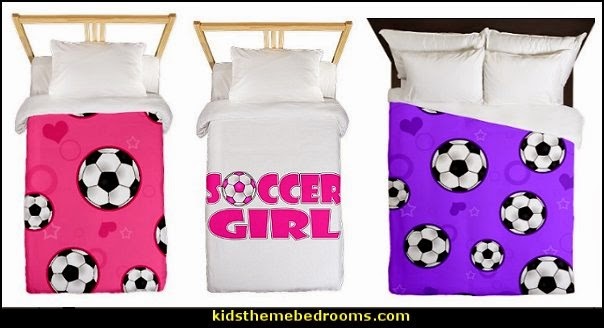 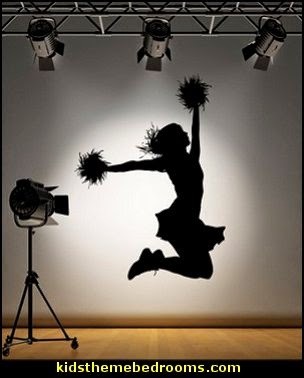 HOW TO DECORATE A GIRLS SPORTS BEDROOM? 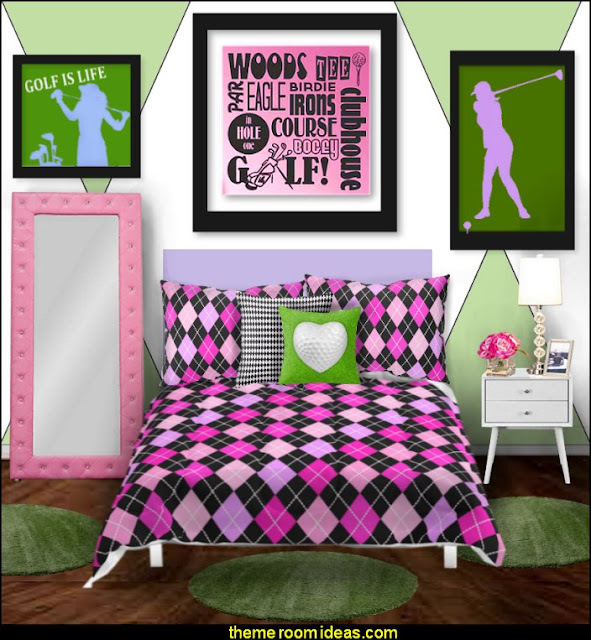 Add a touch of feminine flair to the girls sports bedrooms with a mix of colorful fun and a dash of whimsy blended with a twist of sporting style! 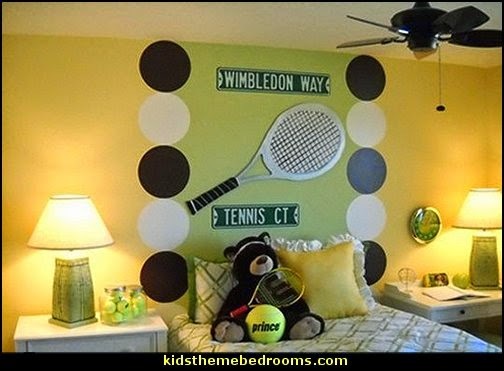 Decorate with your favorite colors - in bold and bright shades - or if you play for a sports team - decorate your bedroom with your sports team colors or even your school sports colors. 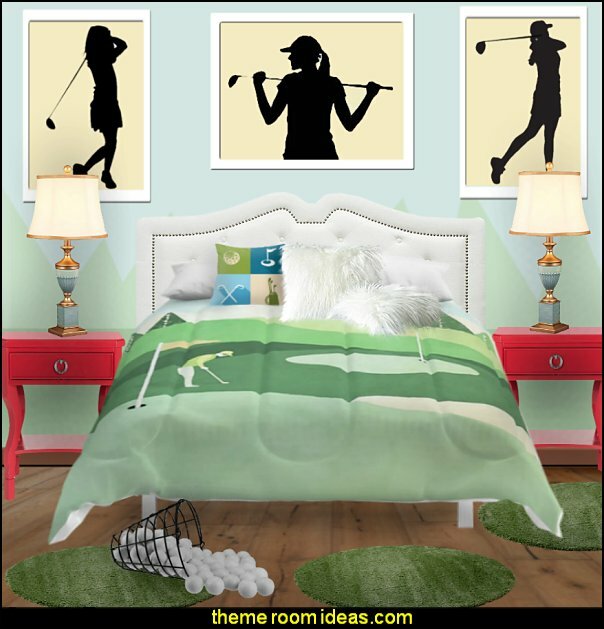 Accent the bed with fun decorative sports theme throw pillows to suit your sports themed bedroom. 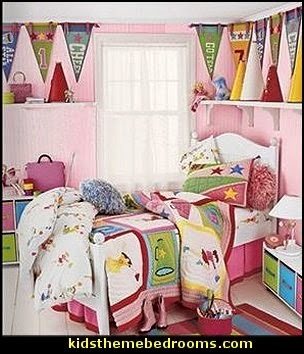 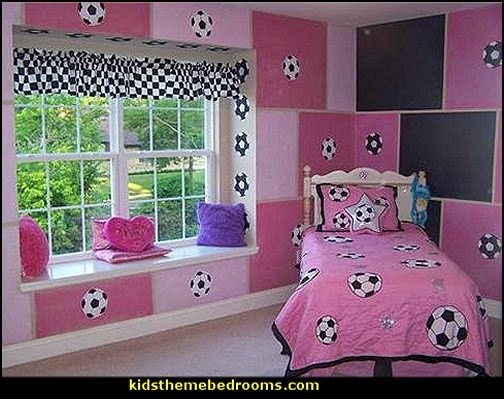 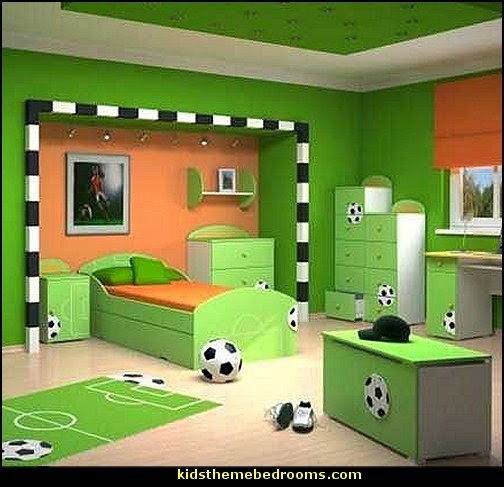 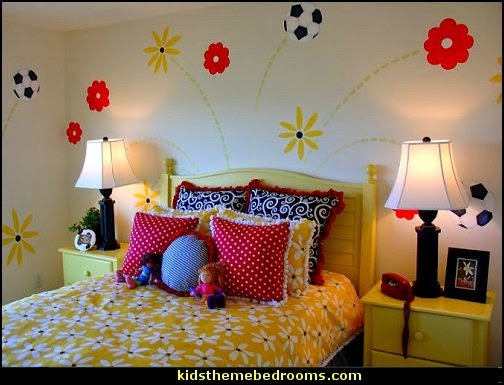 Can't get a foul play for using stripes and polka dots in the girls sports bedroom. 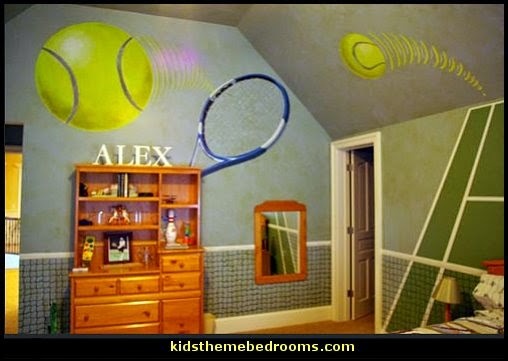 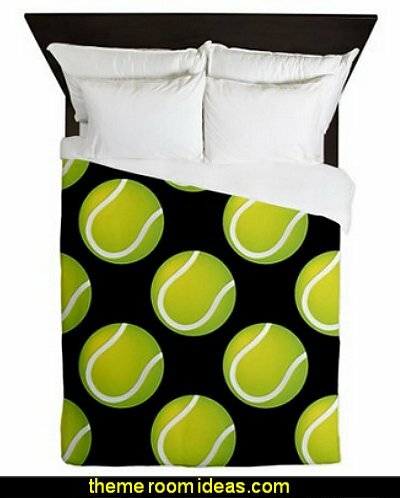 Take your sports bedroom to the next level. 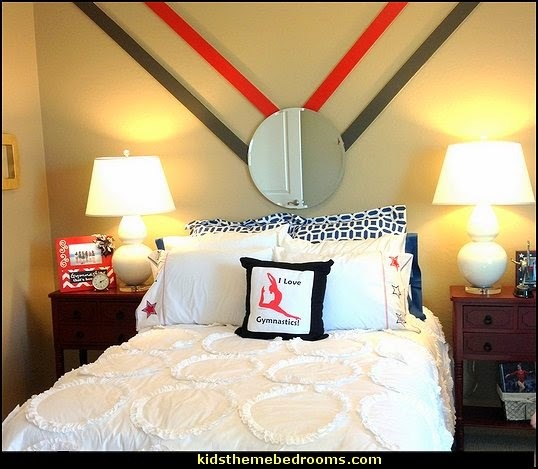 Skateboarders show off their tricks in bold colors.